Joseph Smith was the founder of the LDS Church. Mormons believe that “Joseph Smith, the Prophet and Seer of the Lord, has done more, save Jesus only, for the salvation of men in this world, than any other man that ever lived in it” (D&C 135:3). Does the evidence support this claim? Evidence from Joseph’s failed predictions that he was not a true prophet of God. All of our research articles on this important issue: Did Joseph really see the Father and the Son in 1820? Articles, book reviews, and Mormon documents on the subject of polygamy, including Joseph Smith’s secret marriages to over 30 women (some of whom were already married to other men at the time). An overview of the evidence that call into question Joseph’s status as a true prophet of God. Did the Young Joseph Smith Study the Bible? Robert M. Bowman discusses the appearance of large sections of the King James Version of the Bible in the Book of Mormon, and how much of the Bible Joseph Smith may have memorized. 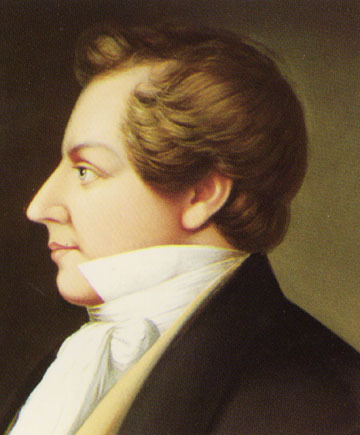 The evidence of Joseph Smith's close connection to occultism and Freemasonry, and how this influenced the origin and development of the Mormon Church is not well known outside of scholarly circles. Joseph Smith claimed to have over a dozen visitations from the angel (resurrected being) Moroni as well as a dozen or so other visions or visitations from heaven, most famously his “first vision” in which he says he saw the Father and the Son in 1820. This article lists these reported experiences of Joseph Smith and provides basic information and references for each of them.